À BECKETT, WILLIAM ARTHUR CALLANDER (1833-1901), barrister, was born on 7 July 1833 at Kensington, London, eldest son of Sir William à Beckett and his wife Emily, née Hayley. He went with his family to Sydney in May 1837 and to Port Phillip in February 1846. He attended schools in Sydney and Melbourne and at 18 began reading law under his father's direction. In January 1852 he was appointed associate to his father, then chief justice. In February 1853 he left with his family for England. There he studied applied sciences at King's College, London. He returned to Melbourne in December 1854 and was reappointed associate to his father. 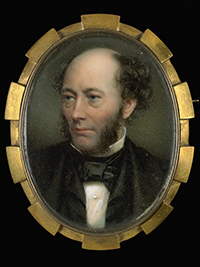 His brother Edward FitzHayley succeeded to the associateship in September 1855. In February 1855 à Beckett was appointed second lieutenant in the Melbourne Volunteer Rifle Corps. On 17 September he married Emma (1838-1906), only child and heiress of John Mills, who had bought land in the first Melbourne sales. In March 1857 he took her to London, where their first daughter Emily was born in June. They returned to Melbourne in October 1858. His political career began in January 1868 when as a Constitutionalist candidate for Mornington he opposed James McCulloch. Though defeated à Beckett showed well in the poll and in September was elected to the Legislative Council for the Southern Province. He was a minister without office under (Sir) Charles Gavan Duffy from June 1871 to June 1872 and in Berry's ministry from 7 August to 20 October 1875. As a parliamentarian he showed great diligence and spoke on every subject under discussion. 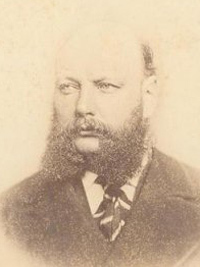 He unsuccessfully sought representation for St Kilda in the elections of May 1877.
à Beckett was appointed a territorial magistrate in 1861, magistrate for Melbourne General Sessions in 1869, and called to the Victorian Bar in September 1875. He went to London in 1886 and next year was admitted to the Inner Temple. He returned to Melbourne in 1892 and died in a private hospital at St Kilda on 16 December 1901, survived by his wife, two sons and four daughters. One son, William Gilbert, went to Cambridge (LL.B., 1892) and became a barrister at Inner Temple; the other, Arthur Heywood, served in Gallipoli and Egypt. 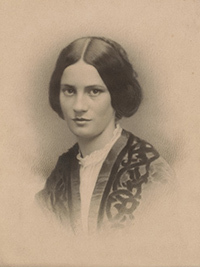 A daughter, Emma Minnie, was an artist and married the artist Arthur Boyd. [S11] Newspaper - Argus 18 Sep 1855, p4. [S185] Property Titles. ; PROV (Public Records Office Victoria), C/T 1405-909 - Simon Paternoster to William Arthur Callander A'Beckett - C/T 1600-991 The Honorable William Arthur Callander A'Beckett of High Street Prahran Barrister-at-Law. [S185] Property Titles. ; PROV (Public Records Office Victoria), C/T 1600-991 - William Arthur Callander A'Beckett to Emma A'Beckett - C/T 1607-348. [S24] PROV (Public Records Office Victoria), VPRS 24/ P0 unit 742, item 1901/1455. [S11] Newspaper - Argus 18 Dec 1901, p1. [S34] PROV (Public Records Office Victoria), VPRS 267/ P7 unit 1395, item 1906/695. Select Bibliography: I. Selby, History of Melbourne (Melb, 1924); Berwick (Victoria) Shire Council, From Bullock Track to Bitumen (Berwick, 1962); M. Boyd, Day of My Delight (Melb, 1965); Age (Melbourne), Aug-Sept 1868, 4 Oct 1876; Argus (Melbourne), 27 Feb 1906; J. E. Parnaby, The Economic and Political Development of Victoria 1877-81 (Ph.D. thesis, University of Melbourne, 1951). Print Publication Details: Kathleen Thomson, 'à Beckett, William Arthur Callander (1833 - 1901)', Australian Dictionary of Biography, Volume 3, Melbourne University Press, 1969, pp 11-12. Marriage* 30 Sep 1849 Spouse: Matilda Hayley. Melbourne, VIC, Australia. Sir William à Beckett (1806-1869), chief justice, was born on 28 July 1806 in London, eldest son of William à Beckett, solicitor, and his wife Sarah, née Abbott. He was educated at Westminster School and entered his father's office. Called to the Bar at Lincoln's Inn in 1829 he supported himself for some years by writing. He contributed biographical articles to The Georgian Era (1832-34), produced A Universal Biography (1835) based on published works, and with his brothers Thomas Turner and Gilbert of London Punch published the Censor and the Literary Beacon. On 1 October 1832 at St Pancras, London, he married Emily, daughter of Edward Hayley. Possibly because of lack of success at the Bar à Beckett migrated with his wife and two sons, his mother-in-law and two more of her daughters, and in May 1837 in the City of Edinburgh arrived at Sydney. There his progress at the Bar was so rapid that in March 1841 he was appointed acting solicitor-general with a salary of £800 and the right of private practice. Although by the date of his call to the Bar he was second in standing in the Supreme Court of New South Wales his appointment was not confirmed by the Colonial Office until March 1843. Next year, when Sir William Burton moved to Madras, à Beckett was commissioned an acting judge of the Supreme Court in July; the permanent judge appointed in England had not arrived in September when the death of the chief justice, Sir James Dowling, created another vacancy, so à Beckett remained on the bench. In 1845 the Colonial Office overruled his appointment and suggested his transfer to Port Phillip as resident judge, a provisional appointment pending decision by the Privy Council on the petition of Judge John Willis that he had been wrongly removed from office. In February 1846 à Beckett accepted his transfer to Melbourne. Although in June the Privy Council advised against Willis's amoval and the Queen revoked his appointment in September, in October à Beckett's position was made permanent. 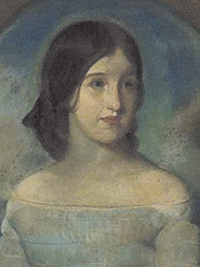 Emily à Beckett had died in Sydney on 1 June 1841, survived by four sons. They went to Port Phillip with their father and Emily's mother and sisters. On 30 October 1849 à Beckett married Matilda Hayley, the youngest of the family. This marriage to a deceased wife's sister would have been void in England under Lord Lyndhurst's Act of 1835, but Acts of the British parliament passed after 1828 did not apply in New South Wales and the marriage was therefore 'voidable only by sentence of an Ecclesiastical Court'. à Beckett remained as resident judge until the Supreme Court of Victoria was created by an Act of the Legislative Council on 6 January 1852. On 24 January he was appointed the first chief justice of the new court. The Queen signified her approval and on 24 November conferred a knighthood on him. In that year he published in Melbourne The Magistrates' Manual for the Colony of Victoria and, as 'Colonus', a pamphlet deploring the moral and social effects which the pursuit of gold was producing. In conducting the business of his court à Beckett won the admiration of the legal profession. His reported judgments show a sound grasp of principle and a capacity to adapt the doctrines of English law to the novel conditions of the colony. The judgments are written in an admirably clear style and most of them, whether delivered in Sydney or Melbourne, survive in printed form. Although no reports were published in Victoria between December 1851 and October 1856, the weekly Victorian Law Times and Legal Observer, which then appeared, included reports of current decisions and some cases decided in 1853-55. From 1843 à Beckett suffered from some form of paralysis in the legs, reputedly derived from an injury while playing cricket at Lord's. The affliction worsened and in February 1853 he was granted two years leave. With his wife and sons he went to England, where he consulted physicians but found no relief from his condition. However, the family managed to travel on the Continent, à Beckett being lifted into and out of the carriage by his sons. Notes of their tour through Switzerland and Italy were published as Out of Harness (London, 1854). On his return à Beckett built a substantial two-storied house in Clarendon Street, East Melbourne. In February 1855 he presided over the trial of two of the miners charged with high treason arising out of the rioting at Ballarat, now known as the Eureka Stockade. His charge to the jury favoured a conviction, but popular feeling had more effect with the jury who brought in a verdict of not guilty. In ill health à Beckett retired in February 1857 on a pension of £1500. He lived in Melbourne until 1863 when he moved to England. He lived at Surbiton near Hampton Court Palace and later at Upper Norwood, Surrey, where he died on 27 June 1869. Throughout his life in Australia à Beckett had continued to write in prose and verse. In Sydney for six months from 12 August 1837 he edited the weekly Literary News and in 1839 he published his Lectures on the Poets and Poetry of Great Britain. While judge he did not think it proper to write under his own name but often contributed to the Port Phillip Herald as 'Malwyn' until the Argus exposed his identity; he then ceased to write for the press. His poem celebrating the safe return of the explorer Ludwig Leichhardt was published in a supplement to the Port Phillip Herald, 2 June 1846, and reprinted in Garryowen, The Chronicles of Early Melbourne. Perusal suggests that à Beckett was no poet, whatever his own opinion may have been. As early as 1824 he had published The Siege of Dunbarton Castle: and Other Poems; it was a failure but he consoled himself with the reflection that a similar experience had not prevented Byron's genius from being later recognized. In England in 1863 he published The Earl's Choice, a long tale in verse, sentimental, priggish and rather boring. à Beckett was also a music lover and a keen patron of the theatre. In 1855 he wrote the prologue declaimed by Gustavus Brooke at the opening of George Coppin's 'Iron Pot' at the Olympic Theatre in Melbourne. He strove nobly to develop cultural life in the young colony, was ever ready to speak at Mechanics' Institutes, and was a staunch supporter of George Rusden in his campaign for the National system of education. A close friend of Bishop Charles Perry he regularly attended divine service, though he was said to have Unitarian leanings. In Melbourne he supported the Total Abstinence League and later in England became vice-president of the United Kingdom Alliance 'to procure the total and immediate legislative suppression of the traffic of Intoxicating Liquors as Beverages'. [S11] Newspaper - Argus 27 Jan 1853, p4. [S80] Ancestry - Family Tree, "Pastoralists, Politicians and Professionals" pvcow. [S11] Newspaper - Argus 3 Sep 1869, p4. [S14] Newspaper - Sydney Morning Herald, 31 Aug 1869, p3. [S55] Adb online, online http://adbonline.anu.edu.au/adbonline.htm, Coppel, E. G., 'à Beckett, Sir William (1806–1869)', Australian Dictionary of Biography, National Centre of Biography, Australian National University, http://adb.anu.edu.au/biography/a-beckett-sir-william-2862/…, accessed 30 June 2012. Death-Notice* 27 Feb 1906 A'BECKETT.—On the 26th February, at Wilton, Church-street, Brighton, Emma A'Beckett, widow of the late Hon. W. A. C. A'Beckett. A'BECKETT.—The Friends of the late Mrs. W. A. C. A'BECKETT are informed that her remains will be interred in the Melbourne Cemetery. [S356] Brenda Niall, The Boyds. [S80] Ancestry - Family Tree, B8223. [S11] Newspaper - Argus 27 Feb 1906, p1. [S35] Probate Records, PROV (Public Records Office Victoria), VPRS 28/P0, unit 1285; VPRS 28/P2, unit 765; VPRS 7591/P2, unit 391. [S185] Property Titles. ; PROV (Public Records Office Victoria), C/T 1607-348 Memo 36737 - William Gilbert A'Beckett of "Lansdown," Dandenong Road East St Kilda Barrister-at-Law, and Emma Minnie Boyd of Sandringham Married Woman are registered as proprietors as executors to whom probate of Emma A'Beckett was granted 9 Apr 1906. [S185] Property Titles. ; PROV (Public Records Office Victoria), C/T 1607-348 - William Gilbert A'Beckett and Emma Minnie Boyd to Adolphe Frederic Seelenmeyer of "Rosecraddock" Hawthorn Road Caulfield Medical Practitioner. Death-Notice* 4 Mar 1941 A'BECKETT-On March 2, at 14 Tintern avenue, Toorak, William Gilbert (formerly of The Grange, Berwick), elder son of the late W. A. C. a'Beckett, aged 76 years. Mr. William Gilbert a'Beckett died at his home, 14 Tintern av., Toorak, on Sunday night at the age of 76 years. The late Mr. a'Beckett, who was elder son of the late Mr. W. A. C. a'Beckett, and grandson of the late Sir William a'Beckett (first Chief Justice), was born at Brighton in 1864. He was educated at the Melbourne Grammar School, obtained his M.A. degree at Jesus College, Cambridge, and his degree of LL.M. at Trinity College, Melbourne. During his residence of 30 years at The Grange, Berwick, he was a member of the Shire council for 18 years, and also justice of the peace. He was one of the oldest members of the Melbourne Club, V.R.C., and Royal Melbourne Golf Club. He devoted much time and energy to patriotic and public movements, including the Returned Soldiers' Association, and schools, and was a lay reader of the Church of England, and a member of Synod for Christ Church, Berwick. He is survived by his widow, daughter of the late Mr. Arthur Walstab, and four children, Mr. W. A. K. a'Beckett, Lieutenant A. R. a'Beckett (A.I.F. ), Mrs. Norman Barrett, and Mrs. Wilfrid Minson. The funeral will take place at Berwick Cemetery to-day after a service at Christ Church, Berwick, at 3.30 p.m., conducted by Rev. 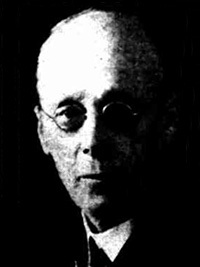 Ernest Thomson. [S185] Property Titles. ; PROV (Public Records Office Victoria), C/T 1697-227 - William Gilbert A'Beckett of Narre Worran Barrister at Law - see C/T 2607-213. [S11] Newspaper - Argus 11 May 1907, p13. [S185] Property Titles. ; PROV (Public Records Office Victoria), C/T 2607-213 - Charles Alexander Stone of Woodstock West farmer. [S185] Property Titles. ; PROV (Public Records Office Victoria), C/T 2407-229 - William Gilbert A'Beckett of Narre Warren Barrister at law. [S11] Newspaper - Argus 4 Mar 1941, p4. [S185] Property Titles. ; PROV (Public Records Office Victoria), C/T 2407-229 - William Gilbert a'Beckett died on 2nd March 1941. Probate of his will has been granted to Gertrude a'Beckett Widow Joan Minson Married Woman and William Auncell Keysey a'Beckett Accountant all of 14 Tintern Avenue Toorak. [S185] Property Titles. ; PROV (Public Records Office Victoria), C/T 2407-229 - Kenneth Boulton Hudson of Beaconsfield Motor Engineer. [S14] Newspaper - Australian Town and Country Journal (NSW), 16 Jan 1907, p40. [S19] Newspaper - Berwick Shire News and Pakenham and Cranbourne Gazette "11 Feb 1914, p2." [S11] Newspaper - Argus 4 Mar 1941, p5. [S11] Newspaper - Argus 6 Sep 1866, p4. [S11] Newspaper - Argus 29 Jun 1891, p1. [S14] Newspaper - England, Andrews Newspaper Index Cards, 1790-1976, 27 Dec 1940. [S14] Newspaper - Kalgoorlie Miner (WA : 1895 - 1950), Fri 17 Jan 1941, p4. [S83] Online index to the UK census "Class: RG14; Piece: 3571; Schedule Number: 412." [S83] Online index to the UK census "The National Archives; Kew, London, England; 1939 Register; Reference: RG 101/7480L." Major Arthur Hayward a'Beckett, of Ballintrae, Bunyip, who died yesterday at the age of 71 years, was the younger son of the late Hon. William Arthur Calander a'Beckett. He was born at Narre Warren. Mrs. a'Beckett died in December last. In England Major a'Beckett was a captain in the Antrim Artillery. He came to Australia before the war and enlisted with the A.I.F., and was at the landing at Gallipoli. He left Australia as a lieutenant and returned as a major in 1919. 24 Nov 1939, Alleged Testamentary Incapacity. Melbourne Thursday. Alleging that her uncle, Arthur A'Beckett, aged 71, of Bunyip, did not possess testamentary capacity, Miss Ellen Backhouse, of East Melbourne, to-day in the Supreme Court challenged his last will in which he left his £51,362 estate equally to the Children's Hospital, Austin Hospital and the Anglicen Deaconesses Home, after providing £130 to relatives. 29 Nov 1939, MENTAL FAILURE ALLEGED. Dispute Over Will. Allegations that during the last year of his life Arthur Heywood a'Beckett, late of Ballentrae, Bunyip, suffered a complete mental failure were made in the Banco Court yesterday. Mr. a'Beckett's niece, Miss Ellen Yolande Backhouse, of Paxton street, East Malvern, is opposing the grant of probate of his will on the ground that he lacked testamentary capacity when the will was made. Mr. a'Beckett died on April 9, aged 71 years, and left assets valued at about £41,000. Apart from small legacies to two cousins and a nephew, he left his estate to the Austin Hospital, the Children's Hospital, and the Church of England Deaconesses' Home at Sale. Dr. E G. Coppel, senior counsel for Miss Bckhouse, said that he would call evidence that Mr. a'Beckett had suffered, almost a complete loss of memory of recent events. An old friend would say that during the last year of Mr. a'Beckett's life there was a complete mental failure. A nurse who attended Mr. a'Beckett during his illness in February, would describe his condition of melancholia. Miss Florence a'Beckett, who had looked after him for a number of years, and who had had 30 years' nursing experience, would say that during 1938 his mind broke down. Other relatives would speak of his mental failure. It was conceded that, at the time the will was made, Mr a'Beckett might have appeared to be acting like a normal man, added Dr Coppel. It was plain, how ever, that when he gave instructions to a bank manager for the will he was obvious incapable, and the bank manager had finally admitted that. The hearing will be continued to-day. Evidence that after his wife's death, Arthur Heywood a'Beckett, late of Ballantrae, Bunyip, "did nothing but remain on the homestead and weep all day" was given before Mr. Justice Lowe in the Banco Court yesterday. The witness was James Cantlin, who said that he managed Ballintrae for a'Beckett. a'Beckett's last will which was made in March, is being challenged by his niece, Miss Ellen Yolande Backhouse, of Paxton street, East Malvern, mainly on the ground of lack of testamentary capacity. a'Beckett died in April, and, apart from three small legacies, he left his £41,000 estate to three charitable institutions. Cantlin said that from January, 1938, to August 1938, a'Beckett's mentality definitely weakened, and he took little interest in the estate. His condition became worse after his wife's death at the end of the year. On one occasion when crying, a'Beckett told witness that he did not know how he was going to pay the medical and funeral expenses of his wife. Witness said that a'Beckett did not seem "too good" the day he made his last will, and had not been well for a long time. Mrs. Georgina Beveridge, a trained nurse of 14 years' experience, said that she nursed a'Beckett for a fortnight in February last. As his heart condition improved his mental condition grew rapidly worse. A sister-in-law of Arthur Heywood a'Beckett, late of Ballintrae, Bunyip, denied in the Banco Court yesterday that she had been promised something if a'Beckett's last will were upset. The witness, Mrs. Violet Wilkinson, of Stanhope street, Malvern, gave evidence in support of the case for Miss Ellen Yolande Backhouse, of Paxton street, East Malvern, a'Beckett s niece who has lodged a caveat against the grant of probate of the will principally on the ground of testamentary incapacity. a'Beckett died in April, and by his will, which was made in March, he left his £41,000 estate to three charitable institutions, apart from three small legacies. Mrs. Wilkinson, cross-examined by Mr. Ham, K.C. (leading counsel for the propounders of the will) said that she would not say that a'Beckett was insane early this year, but he was mentally affected. that she was a beneficiary under a previous will, but she did not know that when she made her statement. Mr. Ham.—Were you promised anything if the will were upset? Witness said that a'Beckett's manager had told her that a'Beckett was going to provide for her in his will, and she was disappointed when she found that he had not. Mr. Ham.—If he had left you well provided for you would have thought that the will was perfectly proper? Mrs. Wilkinson.—No, not in my own mind. But you would have taken the money? —Yes, and so would you. Recalled by the propounders for the £40,000 will of Arthur Heywood a'Beckett, 71, late of "Ballintrae," Bunyip, which is, being contested by his spinster niece, a witness for the caveatrix in the Banco Court today admitted to Mr Justice Lowe that he had told a lie when in the witness box earlier. Miss Ellen Yolandc Backhouse, of Paxton Street. East Malvern, is challenging the will on four grounds, one of which alleges testamentary incapacity. All of the estate, with the exception of £150, was left to charity. The testator, who died on April 9 this year after having drawn his will on March 16, was a grandson of the first Chief Justice of Victoria (Sir William a'Beckett). The propounders are Messrs Edward John Hamilton and Alfred Gordon Allard, of Melbourne. When hearing of the case, which began several weeks ago, was resumed today, James Cantlin, manager, of "Ballintrae," was asked whether a man named Ted Brown, who worked for Mr a'Beckett, was his son, and what he (Cantlin) had done with cheques for cream sent to Longwarry Butter Factory from 'Ballintrae." Doctor E. G. Coppel (for the caveatrix) objected on the ground of irrelevancy, but after argument, His Honor allowed the questions, and added that the cross-examination would probably go to the credibility or otherwise of the witness. His Honor said that as he recalled earlier evidence, Cantlin had said Ted Brown was not his son. To Mr T. W. Smith (for the propounders), Cantlin said he was married in 1907, and had a son of that marriage, Edwin James, who was born in 1908 at Euroa. You were asked when in the box earlier in the case about the person named Ted Brown, and you said he was not your son. Is he not, in fact, the Edwin James you registered as your son? — Yes. Asked by His Honor why he said earlier he was not his son, Cantlin replied: "He adopted the name 'Ted Brown' two or three years ago, and I did not want to do him an injury by saying he was not Ted Brown. He might not be able to get a job again in the district." After Cantlin had told His Honor that the statement he made previously was a lie, he told Mr Smith that he recollected telling Mr Ham he had no cows of his own. That statement was correct. He did not have any cattle of his own in July or August this year and the cream he sent to the Longwarry butter factory in August came from the cows on "Ballintrae." He received cheques for the cream but did not give the cheques to the executors of the estate. The cheques were made out in his name. I cashed them and the money is there. Mr Smith: The cream was sent in your name, J. Cantlin, and you received the cheques and cashed them. —Yes. Dr. Coppel: Have you any claims for expenses against the estate since Mr a'Beckett died? — Only my wages. In reply to further questions, Cantlin said he had been paid pretty regularly and that he received about 30/ a week for the cream since some time in August up to now. He put the money from the cream into his own account at the bank and it was still there. There had been no other in come from the farm apart from the cream. He had not settled any cream accounts with the executors, who did not know he was paying the money into his own account. He did not think he had been asked for cream or other accounts at any time. Witness said he had nothing to do directly with his son obtaining employment at "Ballintrae." He did not see him until he had got the job under the name of Ted Brown. the removal of the caveat and granted probate of the will. The late Mr. a'Beckett, who resided at Ballintrae, Bunyip, was 71 years old when he died on April 19. He left an estate of approximately £41,000 net, and by a will executed about a month before his death, he made pro vision for small legacies to two cousins and a nephew, and directed that the residue of his estate should be divided into three equal parts, one-third to go to the Children's Hospital, one-third to the Austin Hospital, and the re maining third to the Church of England Deaconesses' Home at Sale. Against the grant of probate a ca veat was lodged by Miss Ellen Yol-lande Backhouse, a niece of testator, chiefly on the ground that testator lacked testamentary capacity. The hearing extended over a long period and involved the calling of very many witnesses. In his judgment yesterday, his Honor reviewed the history of the case. He said that shortly before his death tes tator had suffered from the effects of thrombosis, which probably led to cerebral haemorrhage, and thereby caused his death. He did not leave any children, and had as his next of kin four sisters and one brother. A brother and three sisters survived him. The evidence showed that for many years a'Beckett had been estranged from his sisters. There was evidence that testator considered that his bro ther and his brother's family had ne glected him for some time and also during the illness of his wife. The provisions of the will were not unrea sonable in themselves. Testator had provided legacies for three relatives, and the proceeds of the residue of his property were left substantially in three equal parts for three charities. In the last will testator made a substantial departure from the provisions of his previous testamentary dispositions. [S22] Victorian Government. BDM Index Victoria (online) "Place of birth TOORAK VICTORIA." [S16] Newspaper - The Age Age (Melbourne, Vic. : 1854 - 1954), 23 Dec 1939, p16. The death of Mr. Theyre Weigall occurred at his residence at Martin-street, Elsternwick, on Monday last. He had been in ill-health for about three months, and his death was not unexpected. The late Mr. Weigall was born in England in 1831. He arrived in Melbourne in 1854, and it was not long before he obtained a position in the Attorney-General's Department. He afterwards became an officer in the Treasury, where he remained until 1869, when he was appointed curator of the estates of deceased persons for Victoria. He retained that position until 1895, when he retired on a pension. Since 1895, except during a year's visit to England, he resided quietly at Elsternwick, where he had since 1858 lived in the house which was the home of his wife and himself throughout the whole of their married life of 53 years. At one time he was an active member of the council of the Melbourne Church of England Grammar School, and until a few weeks ago he was one of the committee of the Blind Asylum. Mr. Weigall married in April, 1859, a daughter of the late Mr. T. T. A'Beckett, a sister of the present Mr. Justice A 'Beckett. He is survived by his widow, his daughter (the wife of the Rev. A. Pelham Chase), two sons who are practising lawyers in Melbourne (Messrs. Theyre A'B. Weigall, K.C., and W. F. Weigall), and three sons in the medical profession, also practising in Melbourne (Drs. Reginald, Gerald, and Albert Weigall). The funeral took place on Tuesday morning, when the remains were interred privately in the Brighton Cemetery. [S80] Ancestry - Family Tree, Thorogood (Rickardthorogood) - Owner: Anne Thorogood. [S11] Newspaper - Argus 27 Apr 1859, p4. [S38] Index of burials in the cemetery of Brighton Cemetery Gravestone - Billion Graves,. [S14] Newspaper - Brighton Southern Cross, 25 Nov 1911, p5. [S332] UK - General Register Office Indexes "mother STUCKEY." Marriage* 15 Oct 1912 Spouse: Theodore Penleigh Boyd. Paris, France. Theodore Penleigh was born on 15 August 1890 at Penleigh House, Wiltshire, and was educated at Haileybury College and The Hutchins School, Hobart. He studied at the Melbourne National Gallery School (1905-09) and in his final year exhibited at the Victorian Artists' Society. He arrived in London in 1911 and his 'Springtime' was soon hung at the Royal Academy. He occupied studios at Chelsea, Amersham and St Ives, but for a time made Paris his headquarters. There his studio adjoined that of Phillips Fox who brought him into contact with the French modern school and through whom he met Edith Susan Gerard Anderson; they were married in Paris on 15 October 1912. After touring France and Italy, the couple returned to Melbourne. In 1913 Boyd held an exhibition and won second prize in the Federal capital site competition; he also won the Wynne Prize for landscape in 1914. In October he exhibited at the Athenaeum Hall paintings of Venice, Paris, Sydney, Tasmania and Victoria, including some of Warrandyte, where he had built The Robins, a charming attic house set in bushland. In 1915 Boyd joined the Australian Imperial Force, becoming a sergeant in the Electrical and Mechanical Mining Company, but was badly gassed at Ypres and invalided to England. In 1918 in London he published Salvage, for which he wrote a racy text illustrated with twenty vigorous black and white ink-sketches of army scenes. Later that year he returned to Melbourne and in November held an exhibition at the Victorian Artists' Society's gallery. Although he suffered from the effects of gas, he held one-man shows in 1920, 1921 and 1922; his work, both water-colours and oils, sold quickly. In September 1922 he visited England to choose a collection of contemporary European art for a government-sponsored exhibition to Australia. On 28 November 1923 Penleigh Boyd was killed instantly when the car he was driving to Sydney overturned near Warragul; he was buried in Brighton cemetery. Next March, Decoration Co. auctioned most of his remaining work, including some of his finest paintings, without reserve. In his short career Penleigh Boyd was recognized as one of Australia's finest landscape painters, with a strong sense of colour controlled by smooth and subtle tones. 'Wattle Blossoms', hung at the Royal Academy in 1923, was much admired. He loved colour, having been influenced early by study of Turner and the example of McCubbin. Select Bibliography: T. P. Boyd, The Landscapes of Penleigh Boyd (Melb, 1920); K. Hood, Pottery (Melb, 1961); Bernard Smith, Australian Painting 1788-1960 (Melb, 1962); J. Reed, Australian Landscape Painting (Melb, 1965); M. Boyd, Day of My Delight (Melb, 1965); Modern Art News (Melbourne), 1 (1959), no 2; Pottery in Australia, 14 (1975), no 2; Home, 1 Dec 1921; Australian Women's Weekly (Sydney), 26 Apr 1972; Herald (Melbourne), 30 Oct 1920, 9 Sept 1959; Times (London); 29 Nov 1923; Age (Melbourne), 4 Feb 1933, 10 Sept 1959, 3 Apr 1961, 1 Feb 1975; P. Nase, Martin Boyd's Langton Novels: An Interpretative Essay (M.A. thesis, Australian National University, 1969); M. Boyd, Boyd-à Beckett Family Tree and Associated Papers (State Library of Victoria); Doulton Insulators Australia Pty Ltd Archives (Yarraville, Victoria); private information. Print Publication Details: Marjorie J. Tipping, 'Boyd, Arthur Merric (1862 - 1940)', Australian Dictionary of Biography, Volume 7, Melbourne University Press, 1979, pp 371-373. Marriage* 12 Oct 1915 Spouse: William Merric Boyd. [S80] Ancestry - Family Tree, irianb. Death-Notice* 4 Jul 1932 DEATH OF MR. W. G. L. SPOWERS. "THE ARGUS" PARTNERSHIP. MEMBER FOR 42 YEARS. We deeply regret having to record the death in his seventy seventh year of Mr William George Lucas Spowers, formerly one of the proprietors of “The Argus” and “The Australasian,’’ which occurred on Saturday at his home, Toorak House, St George’s road, Toorak. 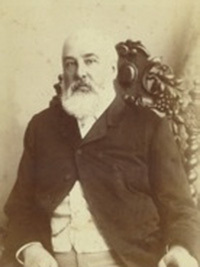 Mr. Spowers was a nephew of Mr Allan Spowers, who joined the firm of Wilson and Mackinnon in the fifties, and on the death of his father, Mr. James Spowers in 1879, he inherited Mr Allan Spowers’s interest. Born in Melbourne on January 3, 1856, Mr. William Spowers was educated at the Church of England Grammar School under Dr. Bromby. In 1872 he entered the service of the London Chartered Bank, and after a few years he came into this office to prepare for the position upon the proprietary which, in due course under his uncle’s will, he was to assume. When the time arrived for this he brought to the responsibility of part-ownership a practical knowledge of the activities of the establishment and a personal and valuable friendship with all the members of the staff which through all the chances of the years he retained in full measure. On several occasions he occupied the chair of the general manager during the absence of Sir Lachlan Mackinnon and when he had, as is often the case in a newspaper office, to meet by quick decision situations involving important consequences he always brought a clear mind and accurate judgment to the duty. He had a true instinct for the principles which should always guide a journal if it is to be the trusted leader of opinion, and was never discouraged by the reserves which from time to time were certain to occur in the political field when the voice of reason was overborne by the clamour of the demagogue. In 1921 Mr Spowers disposed of his interest to his son, Mr Allan Spowers, and retired from the proprietary. He devoted himself to the enjoyment of his taste in literature and art, which he had cultivated all his life, and with Mrs Spowers made two trips to England and the Continent, where he found, as on his previous visits, so much to interest him in the galleries, libraries, cathedrals, and churches. Unhappily his health began to show signs of waning, and on his return from his last trip only this year he found himself unable to re-enter into the interests which before had received his eager attention. Within the last few weeks his strength failed perceptively, and his passing away on Saturday was not unexpected. Mr Spowers married in 1888 Miss Christian Westgarth, daughter of Mr William Westgarth, who was one of the leading merchants of Melbourne. Their only son is Mr Allan Spowers, and their daughters are Mrs Roy Parbury, Mrs John Keats, Miss Ethel Spowers, and Miss Rosa Spowers. Their eldest daughter, Ellison, died recently. Amongst the heights of the Beaconsfield ranges one would hardly expect to find any thing very special in the way of plants or trees, but at the Tower-house, the country residence of Mr. W. G. L. Spowers, is to be found an excellent collection of evergreen and deciduous plants, many of them surpassing in health and luxuriance anything to be found near to the metropolis. Standing out prominently are some really superb rhododendrons, the majority of them just in their full splendour; a few kinds are over, and some have still to expand their buds. Many scores of these plants are here, ranging from 3ft. up to 8ft. in height. They are fully exposed to all weathers, and we were informed receive no attention in watering. Both climate and soil must suit the rhododendron. They are all worked plants, but unfortunately they are not named. However, some are easily re cognised. John Waterer is one of the best dark crimsons. Broughtoniana has immense trusses of rosy-rod flowers. Old Port is one of the best darks. Mrs. John Waterer is bright rose, spotted. One of the best whites is Mrs. John Clutton. Joseph Whiteworth is a dark purple lake, spotted. These are half a dozen ot the best of the numerous varieties to be seen here. The rhododendron is a slow-growing plant; many of these are probably twenty years old. The English holly, in many varieties, seems as much at home here as anywhere in England; most of them are crowded with flowers, and some are still covered with last season's berries. In striking contrast to the scarlet-fruited holly is the Lilli Pilli or America; some fine bushes on the top terrace are laden with berries, once a snowy white, now a little tarnished with age. A considerable number of camellias are here, many of-good size and thoroughly healthy; a few others have suffered from dryness, but a mulch and a pruning will soon bring them round. One of the features of this picturesque place is the terraces in front of the house. These are edged with very broad rosemary hedges, and also with Pittosporum eugenoiaes plants grown very dif ferently to those usually seen. They are trimmed quite flat on the top, and must, be three or four feet in width. A lovely hedge is formed with Eugenia Ventenatti the pink and crimson tips of the young shoots being very striking at this season. We never saw this shrub used for hedge making before but it is most effective. A few specimens of conifers are not very happy in this garden, but the majority are doing well - a Wellingtonia, clothed to the grass, must be 50ft. in height. The red-wood of California (Tayodium semper virens), the silver cedar of the Atlas Mountains, Lawson's and Lambert's cypresses are simply revelling in this granite soil. -A remarkably fine specimen of Pinus sabiniana, can be distinguished a long distant by its silvery, glaucous appearance. Himalayan, the Balm of Gilead, and Oriental spruces are as much at home as in their native countries. 14 Mar 1914, BUSH FIRES. THE BEACONSFIELD HILLS. WOMEN FIRE-FIGHTERS. UPPER BEACONSFIELD, Thursday.—Two alarming fires occurred in the last two days. A fire burning in the gully near the township, on Wednesday, fanned by the northerly wind, broke away and threatened to cause serious damage. The fire swept up the hill, along the side of Mr. Kirkwood's orchard. It jumped the chain-wide lane dividing the properties, and tore up the rise. With difficulty it was checked before it reached the cottage on the crown of the hill. While the fire-fighters were busy at Fassifern another outbreak occurred two miles further east. This fire began in some dense forest country lying between the properties of Mr W G L Spowers, Mrs Anderson and Mr John Knox. The northerly wind took the fire along the range at a great pace. There were fears that it might run down into the Tumuc Valley, towards Pakenham, where there is one of the largest and most prosperous apple orchards in the State. However, with the setting sun the breeze dropned and, though the fire burned fiercely in the dry timber and undergrowth, it did not spread. Extensive damage was done on Saturday and Sunday by a fire which swept the hills around Beaconsfield Upper, denuding them in parts of trees and foliage. No houses were burnt, but severe damage was caused to orchards, fencing and the outbuildings. Commencing early on Saturday morning, the fire rapidly extended, and by Sunday morning eight houses were in danger. The fire-fighters then numbered 150, having been drawn from Beaconsfield, Beaconsfield Upper and Berwick. A fire break one mile long was burned but despite the break the fire obtained a hold in a weekend cottage near the township, and the fire-fighters had to burst open the doors to quell the flames. Many outbuildings of houses in the fire zone were burnt, but the strenuous efforts of the fighters saved the houses. The fire had such a strong hold around the property of Mr W G L Spowers at Upper Beaconsfield that hope of saving the house was abandoned, and the furniture was removed to a place of safety. The flames, however, were extinguished at this spot after only the verandahs and outbuildings had been burnt. [S11] Newspaper - Argus 4 Jul 1932, p6. [S80] Ancestry - Family Tree, Clough tree for Gene Site - Owner: oclough63. [S11] Newspaper - Argus 10 Jul 1888, p1. [S185] Property Titles. ; PROV (Public Records Office Victoria), C/T 1877-366 - William George Lucas Spowers of Toorak Road South Yarra Esquire- C/T 2936-037 - title cancelled see C/T 2943-589 - Title cancelled see C/T 2949-796. [S185] Property Titles. ; PROV (Public Records Office Victoria), C/T 2725-897 - William George Lucas Spowers of Toorak Road South Yarra Esquire - C/T 2943-589 - title cancelled see C/T 2949-796. [S185] Property Titles. ; PROV (Public Records Office Victoria), C/T 2949-796 - Charles Alexander Berglund of Upper Beaconsfield Estate Agent. [S11] Newspaper - Argus 30 May 1879, p5. [S12] Newspaper - South Bourke and Mornington Journal 28 Oct 1903, p2. [S14] Newspaper - Australasian, 31 Oct 1903, p12. [S12] Newspaper - South Bourke and Mornington Journal 7 Apr 1909, p3. [S11] Newspaper - Argus 14 Mar 1914, p20. [S12] Newspaper - South Bourke and Mornington Journal 25 May 1916, p3. [S12] Newspaper - South Bourke and Mornington Journal 8 Nov 1917, p3. [S11] Newspaper - Argus 8 Feb 1926, p12. [S11] Newspaper - Argus 1 Jan 1931, p2. Marriage* Spouse: Joyce Isabel Millar. [S30] Nominal Roll, Australian War Memorial - WWII, http://www.ww2roll.gov.au/, birth date given as 30 Sep 1912. [S30] Nominal Roll, Australian War Memorial - WWII, http://www.ww2roll.gov.au/, birth date given as 31 Oct 1912. [S185] Property Titles. ; PROV (Public Records Office Victoria), C/T 1139-622 + C/T 1154-716 + C/T 3324-719 + C/T 1139-624 + C/T 1154-715 + C/T 1139-623 - Noel Harold Peel of Berglund Road Upper Beaconsfield Manager. [S185] Property Titles. ; PROV (Public Records Office Victoria), C/T 2618-460 - Noel Harold Peel of Berglund Road Upper Beaconsfield Manager. [S185] Property Titles. ; PROV (Public Records Office Victoria), C/T 2079-606 - Noel Harold Peel of Berglund Road Upper Beaconsfield Manager. [S185] Property Titles. ; PROV (Public Records Office Victoria), C/T 2618-460 - Dalkeith George Noel Chambers of 59 Power Street Hawthorn Gentleman. [S185] Property Titles. ; PROV (Public Records Office Victoria), C/T 1139-622 + C/T 1154-716 + C/T 3324-719 + C/T 1139-624 + C/T 1154-715 + C/T 1139-623 - Dalkeith George Noel Chambers of 59 Power Street Hawthorn Gentleman. [S185] Property Titles. ; PROV (Public Records Office Victoria), C/T 2079-606 - Dalkeith George Noel Chambers of 59 Power Street Hawthorn Gentleman - C/T 8596-016. [S11] Newspaper - Argus 20 Feb 1946, p10. [S11] Newspaper - Argus 25 May 1946, p26. [S14] Newspaper - Border Watch (Mount Gambier) 18 Sep 1863, p2. 170/49 HENRY JG CATTANACH PAKENHAM 38 C 19--3--13. 1877 - 1879. [S185] Property Titles. ; PROV (Public Records Office Victoria), 1114-607 - Harry James Goodricke Cattanach of Malvern. H J G Cattenach money lent and secured by assignment, deposit of Policy for £1000 - for a debt of £2487.11.1. Horner's probate showed a deficiency of £1413.11.6. NOTE: in a later transaction it is called The Mercantile Finance Trustees and Agency Company of Australia Ltd, they may have had two names? [S185] Property Titles. ; PROV (Public Records Office Victoria), 1114-607 - Harry James Goodricke Cattanach to Mark Moss Mortgage No 81231. [S185] Property Titles. ; PROV (Public Records Office Victoria), 1114-607 -. [S11] Newspaper - Argus 30 Jun 1911, p1. [S194] Newspaper - Victorian Government Gazette "25 Apr 1879, p919." [S11] Newspaper - Argus 12 Sep 1889, p8. [S16] Newspaper - The Age 5 Aug 1899, p2. 22 Jun 1893, A STATION MANAGER COMMITS SUICIDE. HE CUTS HIS THROAT. Narracoorte, June 21. 30 Jun 1893, SUICIDE OF A STATION MANAGER. [S81] Land Records, Parish Maps & Council Rate Books. ; PROV (Public Records Office Victoria), VPRS 5357/P0000/3794 171/49 ALEXANDER CATTANACH PAKENHAM 49 19--2--32. 1878 - 1879. [S185] Property Titles. ; PROV (Public Records Office Victoria), C/T 1114-608 - Alexander Cattanach of Tallageira. [S24] PROV (Public Records Office Victoria), digital file online at PROV: VPRS 24/P0000/613. [S185] Property Titles. ; PROV (Public Records Office Victoria), C/T 1114-608 - Memo No 16034 - The Union Trustee Company of Australia Limited of No 463 Collins Street Melbourne is registered as proprietor of the within described land as Administrator to whom Administration of the estate of Alexander Cattanach who died on the 20th June 1893 was granted on the 20th December 1893. [S185] Property Titles. ; PROV (Public Records Office Victoria), C/T 1114-608 - The Union Trustee Company of Australia Limited of No 463 Collins Street Melbourne. [S14] Newspaper - The Advertiser, 22 Jun 1893, p6. [S11] Newspaper - Argus 30 Jun 1893, p7.